For families, Red Oak Nature Center engages children in nature learning through live wildlife and hands-on activities. Nature events throughout the year enhance discovery. However, you do not have to visit the nature center itself to appreciate the preserve's wonders. We have seen quite a variety of birds as well as deer at this preserve. Hands-on learning about our local nature. A small dolomite cave a short walk from the center is a fun surprise for families to explore. There is a map near the nature center that will show the direction to the cave as you will have to follow the bike path. 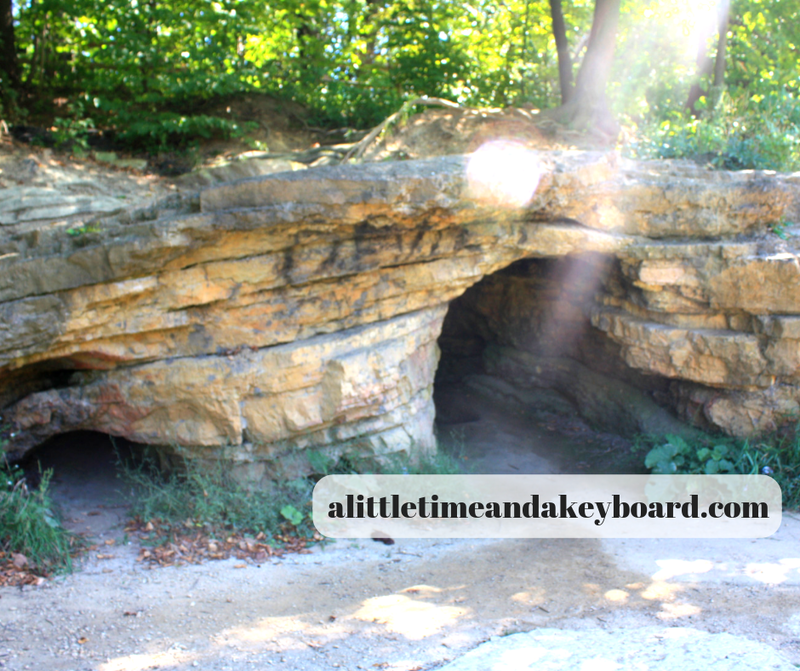 Little dolomite cave at Red Oak Nature Center. From the cave, we continued hiking a long the river. This part of the hike will take you to North Aurora Island Park if you go far enough. We only went so far so we could turn around and enjoy the forested loop on the other side of the center. The wooded loop on the other side of the center is one of my favorites and is where we often see wildlife. There are trails in the area that head from here towards Lippold Park, so you may want to check those out too in order to extend your hike. We always enjoy a nice visit exploring Red Oak Nature Center. 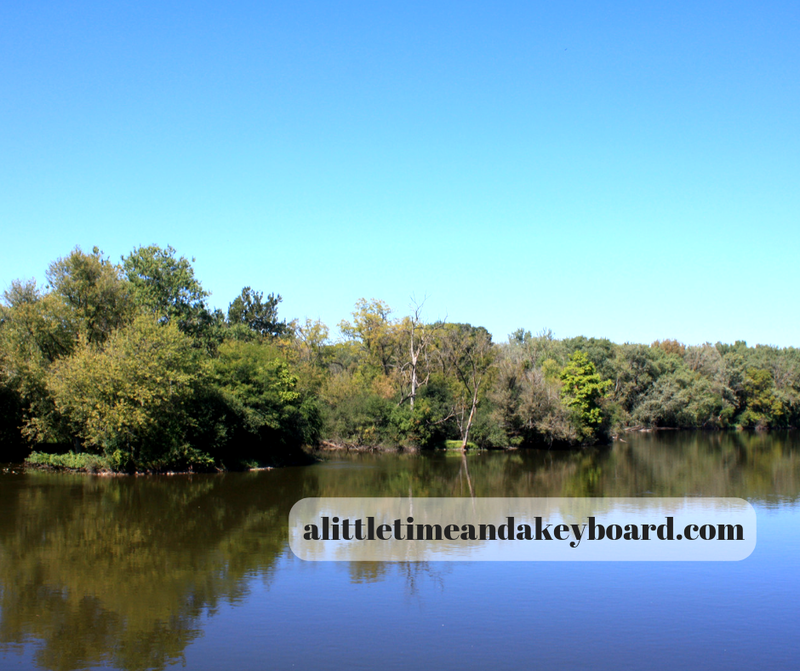 I really love its position on the Fox River and we have enjoyed discovering wildlife in the preserve. 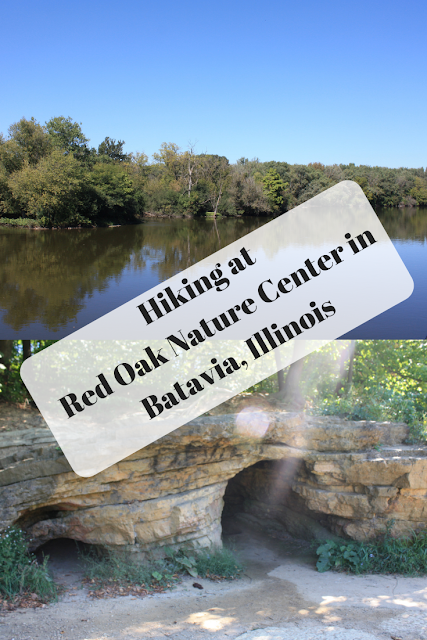 I would like to explore a little further on the Fox River E Trail during our next visit. Bring birding binoculars: This will help you see birds that may be hiding in the brush on the edge of the water. We always see birds at this preserve, so they will help you get a better view. Walk to the cave: The cave is not on the trails immediately around the nature center. There is a map near the center that shows its location south of the center. 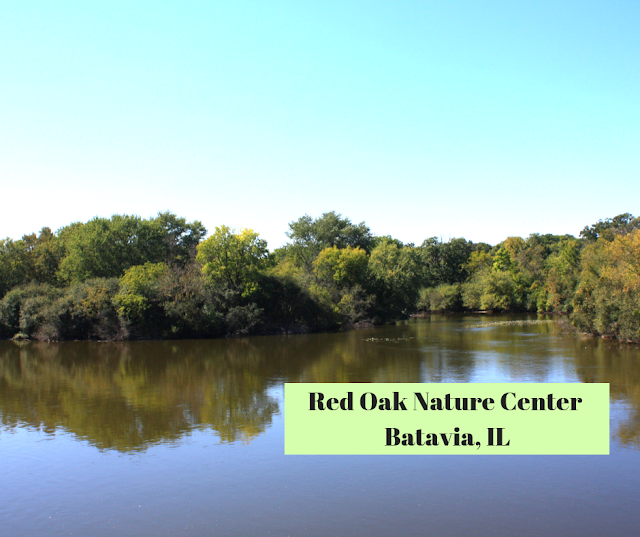 Fox River E Trail: The Fox River E Trail is the bike/hiking trail that runs through the preserve and connects it to others on the Fox River. My kids would love finding that cave!